This is day 5 of the Advent Calendar of USB keyboards. 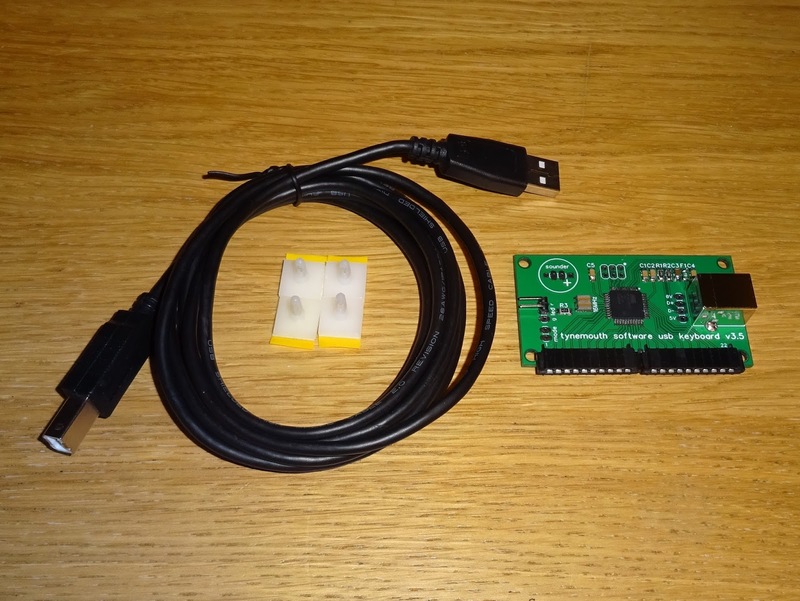 Today, a CPC464 USB keyboard. 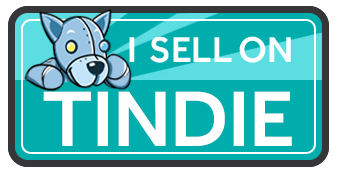 I've done a few of these on request. Not the best photo, I don't think my camera has a wide enough lense to fit it all in. I should have used panorama mode. The case is so large, even though as the design progressed through quite a number of revisions of the CPC464, the size of the PCB inside was reduced almost in half from the first version to the last. 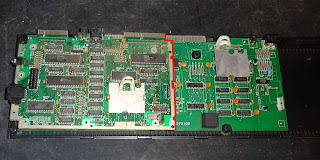 I think there may have been a later possibly smaller board with just 2 RAM chips. 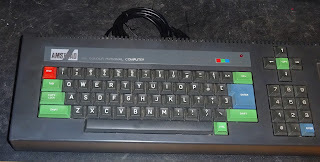 There were also a number of different types of keyboards with different connections. 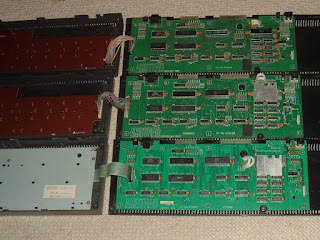 Some of the early ones had various different types of wired versions, some with the socket on the board and a trailing lead on the keyboard, some the reverse of that with the socket on the keyboard. I have one board with three sets of pads for three different pinouts of connector, so I'm avoiding using those to make things easy. 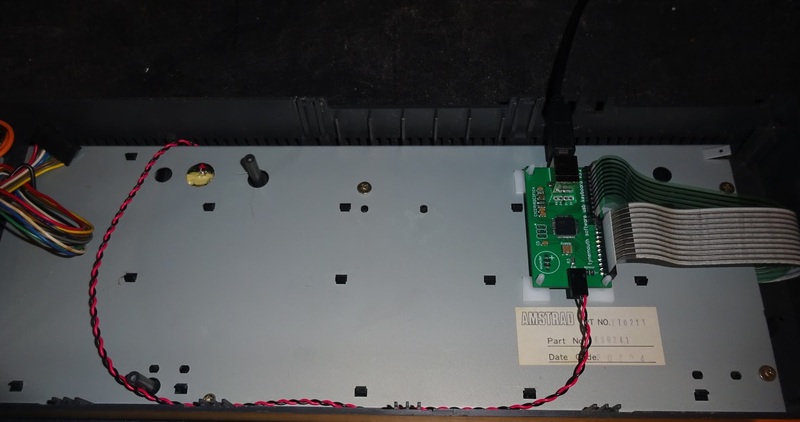 Most of the later ones had membrane keyboards, and it seems the membrane ones are the most common, so that's what I have designed the USB keyboard controller to use. The keyboard controller fits on the back of the keyboard and the membrane tails plug in side by side. They are both 10 way, if the keys are all wrong, you have the tails reversed. 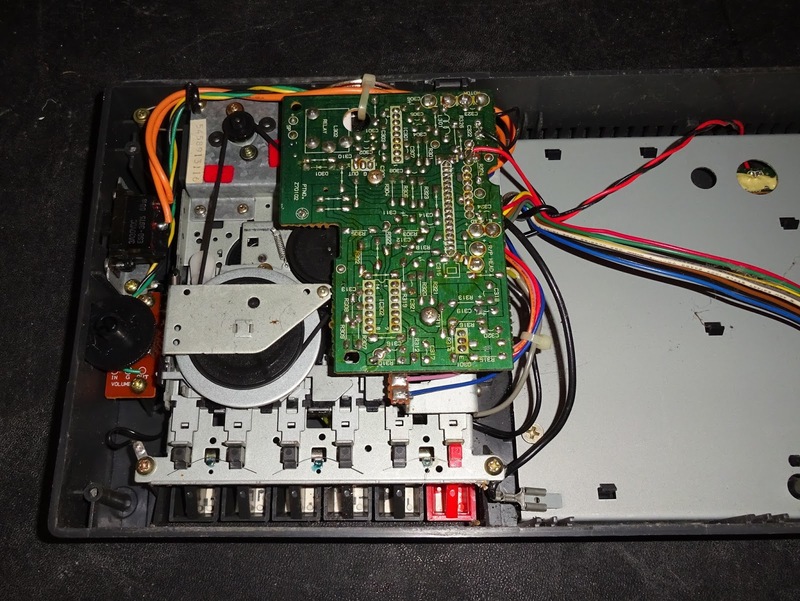 Like the Spectrum+2, the power LED is part of the tape drive. I do the same thing here and wire the LED instead to the controller. 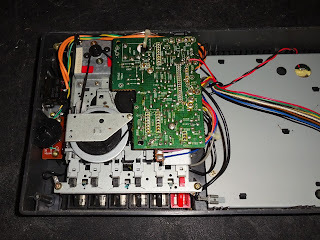 I am tempted at some point to use a working tape deck and modify it to play audio tapes, since it has a volume control, speaker and amplifier, and a power switch. I would need to change some of the audio circuits to remove the filtering in place for data use, but it should be possible. May be a lot of work for something that would never be used though. The keyboard controller is mounted on the back of the keyboard. 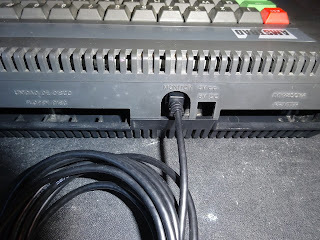 On this version of the case, the monitor connector was in just the right place for the USB cable to exit. 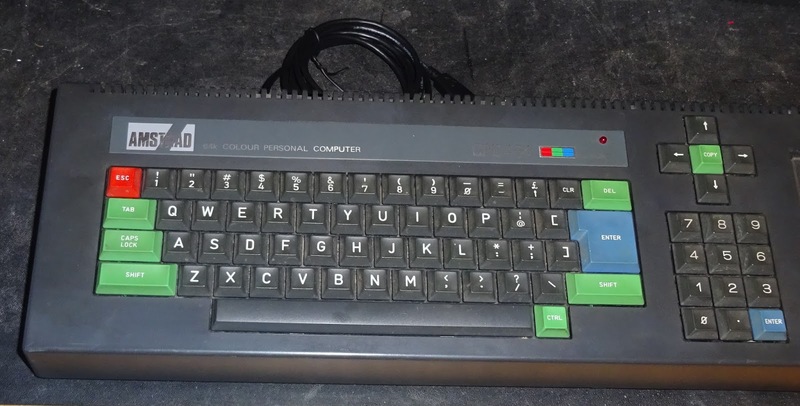 The CPC464 keyboard isn't bad, most of the usual keys in reasonable positions. The arrow keys are slightly odd though. I mapped the 'Copy' key in the centre as ctrl+c, with shift + copy as ctrl+v. No Pi version of this yet, but there is loads of space inside if anyone has a desk wide enough to use one of these. 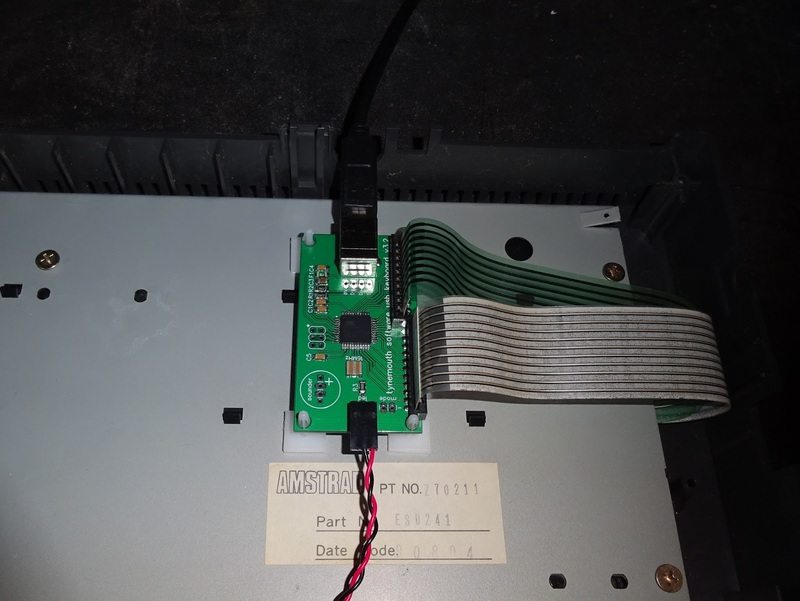 You can order an Amstrad CPC 464 USB keyboard conversion kit below. This consists of a controller board, mountings and USB cable. Note this is only suitable for membrane type keyboards, you can see through the holes in the side what type yours is. You will need to solder onto the power LED if you wish that to illuminate. 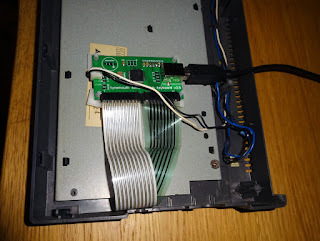 Remember, this is only suitable for keyboards with membrane tails, not the versions with bundles of wires.